MOSCOW (Sputnik) – The Angara-A5 heavy-lift carrier rocket became subject to the first two contracts for launching civilian satellites, papers published on the Russian public procurement website on Wednesday said. "The Angara-A5 carrier rocket … will be used to launch Luch-5M spacecraft," the documents read. 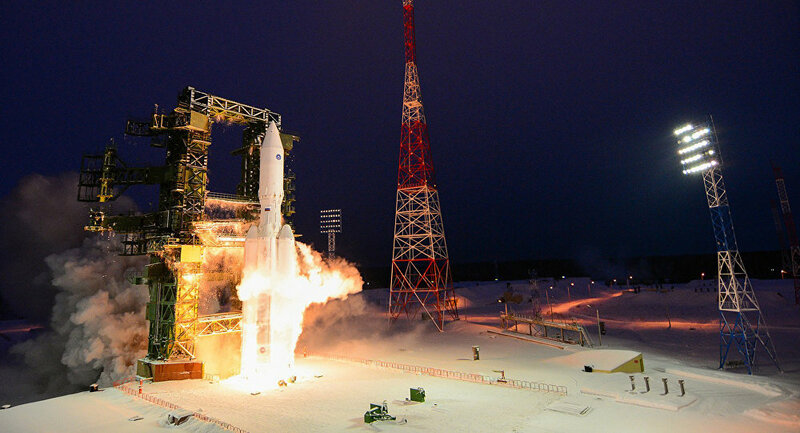 In addition to the two contracts for launching the relay satellites, the website showed that two contracts for adapting the Angara-A5 and ground infrastructure for launches of satellites manufactured by the JSC Academician M.F. Reshetnev Information Satellite Systems, which is also a developer of the Luch-5M satellites, have been signed. According to the 2016-2025 Russian Federal Space Program, the first launch of the Luch-5M satellites is scheduled for early 2021, while the second one will be in late 2022. Russia launched Angara rockets twice in 2014: on July 9 and December 23. The next launch is expected to take place later in 2018.